Based in New London, Connecticut Leon's Upholstery is one of the best upholstery and window treatment shops in the area. With a focus on quality and a background of experience your furniture upholstery will be done correctly and look beautiful. Getting antique and modern furniture re-upholstered can be an exciting step to making the interior design of your home exciting. 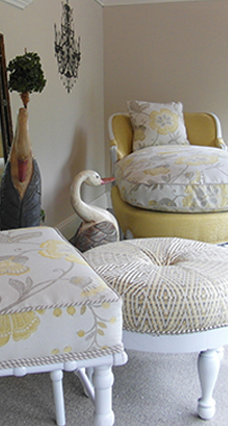 Based in New London, Connecticut, and not far from Waterford, East Lyme, Old Lyme, Groton, Mystic, Westerly, and Watch Hill - Leon's Upholstery is a high quality furniture upholstery shop. 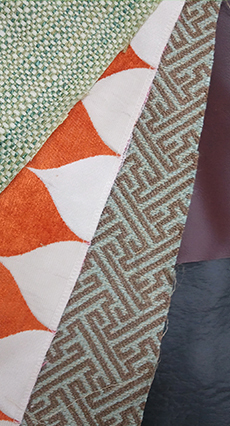 With dozens of fabrics to choose from in the shops showroom there is no doubt you will be able to create the furniture of your dreams. 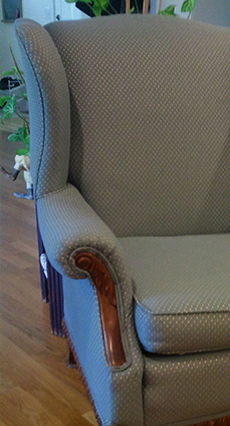 Leon's Upholstery in New London, Connecticut takes care in protecting the wood of your furniture, so whether you are hoping to get a family chair redone or just want a different look on a bench you can be sure that your furniture will come back in the same condition (or better) than when you saw it last. Leon's Upholstery also makes window treatments. There is no issue with calls to get measurements and have your draperies hung within just a few weeks!